The Large 3" & 4" Tank to Bowl Gasket and Hardware Kit is designed to fit specific toilet models that were made after 2000. The universal sponge rubber design measures: 3" inner diameter, 4-1/4" outer diameter and 1-1/8" thick. The included hardware is stainless steel to ensure a long, corrosion-resistant life. 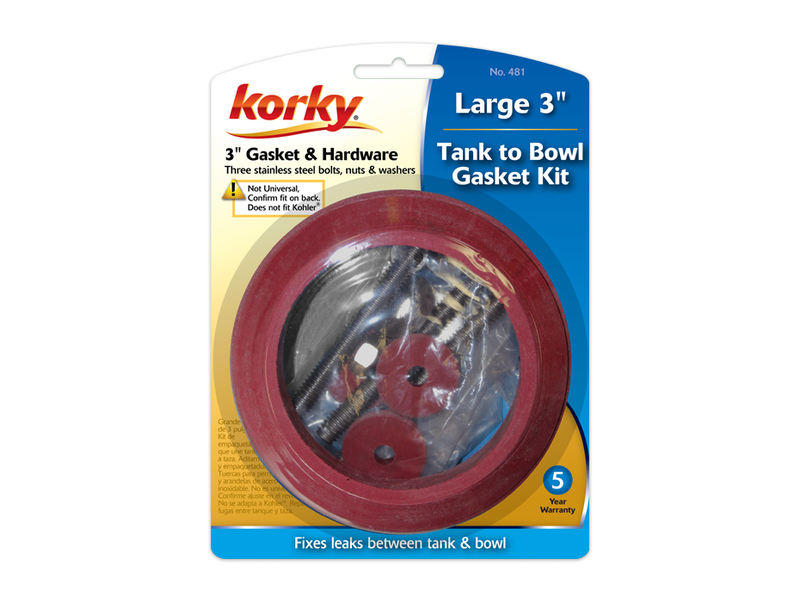 Please note: tank to bowl gasket is not compatible with Kohler® toilets. 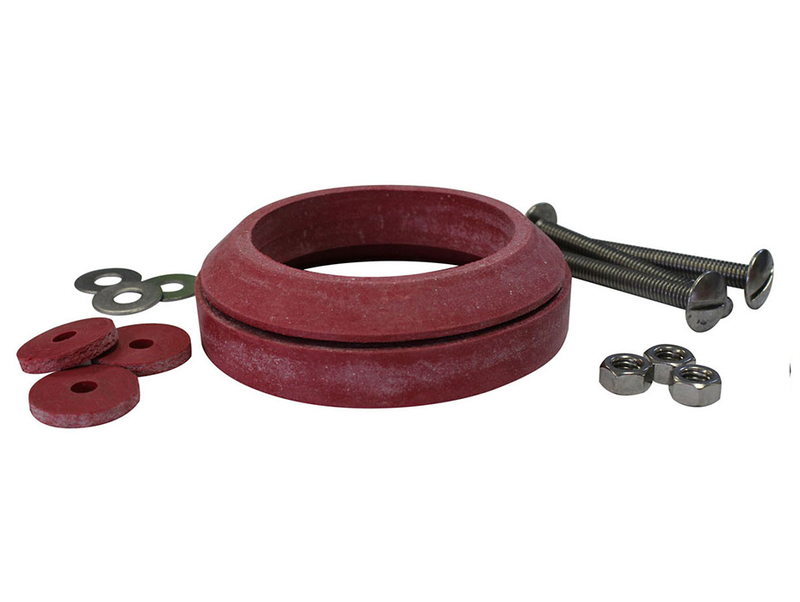 Easy to install, the 480 includes: (1) Sponge Gasket and (1) Set of Hardware. The Large 3" & 4" Tank to Bowl Gasket is designed to fit specific toilet models that were made after 2000. The universal sponge rubber design measures: 3" inner diameter, 4-1/4" outer diameter and 1-1/8" thick. 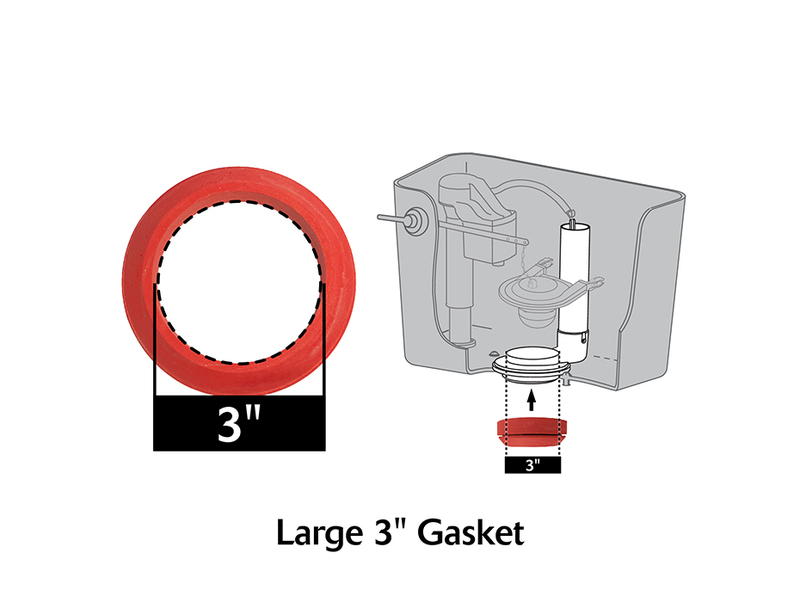 Please note: tank to bowl gasket is not compatible with Kohler® toilets. 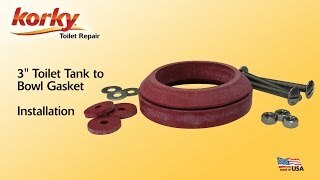 Easy to install, the 480 includes: (1) Sponge Gasket. Please note: the 480 does not include hardware. If interested in a kit, please reference the 481 for gasket and hardware.